Over the specs, Cloud Tread features a 5.5 inches HD touchscreen display with a resolution of 1280 x 720 pixels. The display is protected by a new type of Glass protection named as Dragon Trail Glass Protection. Tread is powered by a 1.5 GHz hexacore SoC MediaTek MT6591 processor coupled with Mali 450 GPU. The company is providing a RAM of 2 GB and an internal memory of 16 GB which can be expandable up to 32 GB using a microSD card. The device comes with Android OS Lollipop v5.1 from the box. This is a dual SIM handset. Over the camera, there is a rear camera of 5 megapixels on the back with LED flash. On the front, there is a 5 megapixels camera for taking selfies and video calling. There is also an audio jack of 3.5 mm and also FM Radio for the entertainment of the user. Other connectivity options like 3G, Wi-Fi 802.11, Bluetooth, GPS are also available on the device. There are several sensors in the phone like Ambient light sensor, Accelerometer, proximity sensor, and Gyroscope. The dimensions of the device are 145 x 72 x 9.4 mm and weighs about 145 grams. There is a battery backup of 2,200 mAh in the device. The battery is removable from the handset. It comes in Grey and Champagne colors. The price of the Cloud Tread is Rs. 4,999. The device will be available for the flash sale on the famous e-commerce website snapdeal.com. The flash sale will start from 30 August. You can get the device from there. 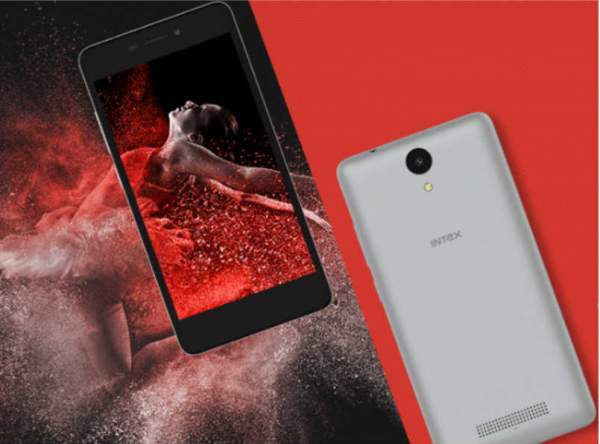 Intex recently launched its music-oriented smartphone At the price of Rs. 9,317. This device is being appreciated by the users and is in high demand nowadays. It would be kind of interesting to see what will the choice of the customers between CloudTread and recently launched Samsung Tizen-powered Z2. Both the devices have great specs and near about same range of price.